Randy began his career in private law practice, ultimately becoming a partner in the largest law firm in southeastern Virginia. From 1989-2001, he served the Commonwealth of Virginia in the General Assembly, first as a Member of the House of Delegates, then in the Virginia Senate. 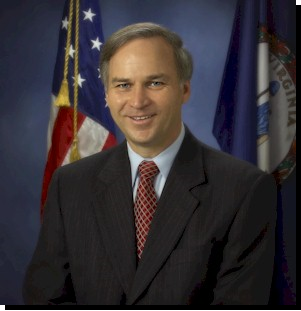 In 2001, Randy was elected to Congress where he represented Virginia’s 4th Congressional District for 16 years. He was a senior member of the House Judiciary Committee and the House Armed Services Committee. Randy’s highest priority has been to protect and defend our nation, the fundamental freedoms it was founded upon, and the men and women who fight for those freedoms. As Chairman of the House Armed Services’ Seapower and Projection Forces Subcommittee, Randy was one of the nation’s most forceful advocates for a strong national defense. He is recognized across the country as a champion for our active duty warfighters, our veterans, and their families. As a result of his dedicated efforts, he is one of the few individuals to be honored with the highest civilian awards offered by both the United States Army and the United States Navy. Randy is also a national leader on the front to protect religious freedom and liberty. In 2005 he created the Congressional Prayer Caucus – a bipartisan and bicameral official organization of Congress – which quickly grew to over 100 members strong. Each week Members would gather together before Session to pray. The Caucus engaged on a number of legislative issues to include reinforcing religious freedom for all faiths in the military, supporting and protecting the autonomy of churches and faith based organizations, and working to ensure every American is free to live according to their beliefs without fear of punishment by the government. Randy currently serves as a Distinguished Senior Fellow at the U.S. Naval War College in Newport, Rhode Island and as a University Fellow at Regent University in Virginia Beach, Virginia. He is on the Board of Directors for CSBA and he is the President of the Congressional Prayer Caucus Foundation. Randy and his wife Shirley have four children and three grandchildren, which Randy personally regards as his greatest achievement.